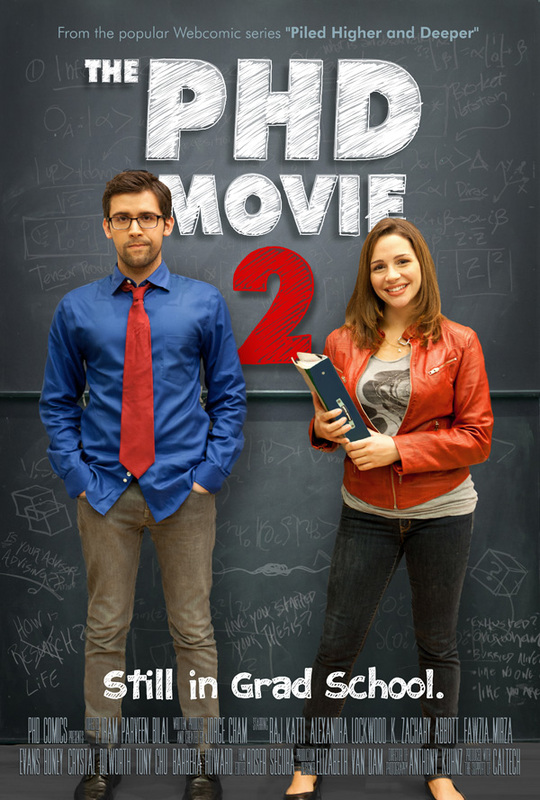 "Laugh-out loud... almost impossible not to relate"
"Well, postdocs think it's funny." 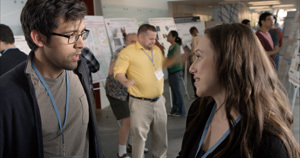 The Nameless Grad Student and his group must travel to an important academic conference and square off against a rival group as they compete for results and grant money. Meanwhile, Cecilia's advisor is going on sabbatical, which means she has to finish writing her thesis or be stuck in grad school another year. It's a comedy. Jorge Cham (Writer/Producer): Jorge is the creator of the comic strip "Piled Higher and Deeper (phdcomics.com) and the co-founder of the science and discovery outreach collaborative PHD TV. 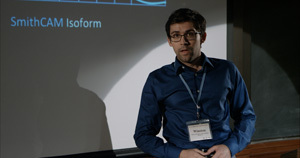 He obtained his Ph.D. in Robotics from Stanford University and is a former Instructor and Research Associate at Caltech. Iram Parveen Bilal (Director): Iram is the Founder and CEO of Parveen Shah Productions. Her noted first feature length film, JOSH (English title: Against the Grain) was a 2012 Women in Film Awardee and was recently honored to be part of the US Library of Congress Permanent Collection. 9/25 - Booksignings (1-2pm and 5-6pm) at FNAC/Researchers Night PLUS Special Discussion with The Big Bang Theory Science Consultant David Saltzberg (7:00pm)! 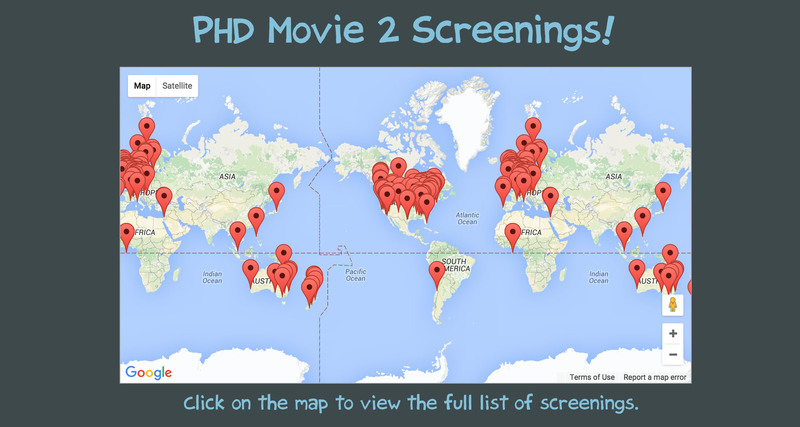 Q&A with Jorge Cham plus Alexandra Lockwood, star of the PHD Movies! Booksigning (1:45pm) and Q&A (3pm) with Jorge Cham on 10/7! Q&A with Jorge Cham plus Director Iram Bilal and members of the cast and crew! Lecture and Booksigning with Jorge Cham on *October 13th* at the Biomedical Graduate Education Student Research Day. Full lecture by Jorge Cham at 4:00pm in Hewlett 200. Booksigning from 5-5:30pm. Q&A with Jorge Cham plus Director Iram Bilal! Sponsored by: Graduate School, Department of Physics and Astronomy, Graduate Student Council, Associated Student Body. Screening @ 6pm local (GMT+13) time. Don't see your institution on the list? Special Thanks to all of our Kickstarter Backers! For the full list of contributors, click here. 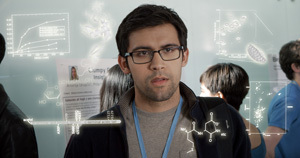 "Piled Higher and Deeper: Still in Grad School" is the sequel film of the popular comic strip "Piled Higher and Deeper" by Jorge Cham (phdcomics.com - phdmovie.com). 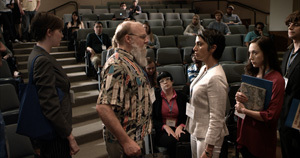 The film takes a smart and humorous look at the world of Academia through the eyes of four grad students, and features real academics (including a Nobel Prize winner!) in many of the roles. 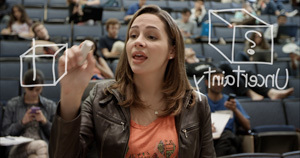 It was funded in large part by Kickstarter backers (including COINS and Papers) and filmed at the California Institute of Technology. 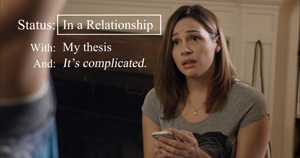 The film was produced as part of a continued collaboration between PHD Comics and the Institute for Quantum Information and Matter at Caltech. You can watch more of Jorge Cham's Quantum videos by clicking here.